Visit our store and meet our friendly professional staff today. 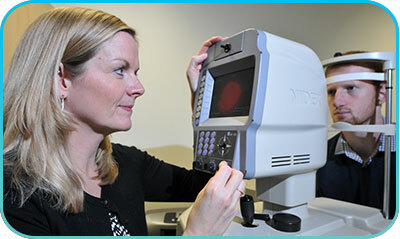 All our examinations are provided by Fully Qualified, UK registered Optometrists. Full eye examinations last between 25-30 minutes per appointment, & are available to NHS and private patients. You will be given ample time to express any concerns that you have and discuss all the findings. State of the art equipment, including fundus photography at no extra cost is used to provide an in depth standard of examination. Our prescriptions are fully guaranteed when dispensed by our practice. You will be given advice on the best products to precisely suit your needs. We are fully experienced in examining all age groups, from young children to senior citizens & those with communication & learning difficulties. We employ fully trained support staff to provide a smooth appointment and knowledgeable follow on from your eye examination. Copyright ©2018 by S. Walton Eyecare. All rights reserved.